Barcelos made quite a buzz when it entered the Indian market. Team ChicLifeByte did tell you about its black, red & white burger and also their boozy shakes. 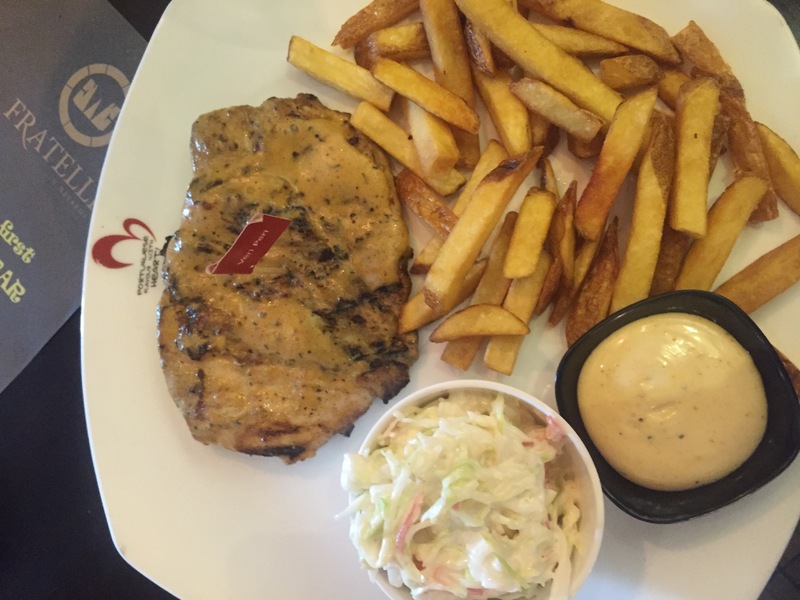 We were recently invited for a tasting session of the flame grilled chicken, one of their core product. Initially, I thought this was a new product but on reaching the restaurant located in the middle lane of Khan Market, I read the menu and realized that it’s already a part of the menu. Anyhow, we were quite excited to try the flame grilled chicken which was described as ‘Chicken marinated in our secret recipe’ which was available in one fourth, half and full options and could be ordered by itself, by one side or two sides. With a wide variety of sides – Fries with Dip, Coleslaw, Wedges with Dip, Grilled Veg, Mashed Potatoes, Sprout Beans, Spicy Rice and Green Salad, we were spoilt for choice. 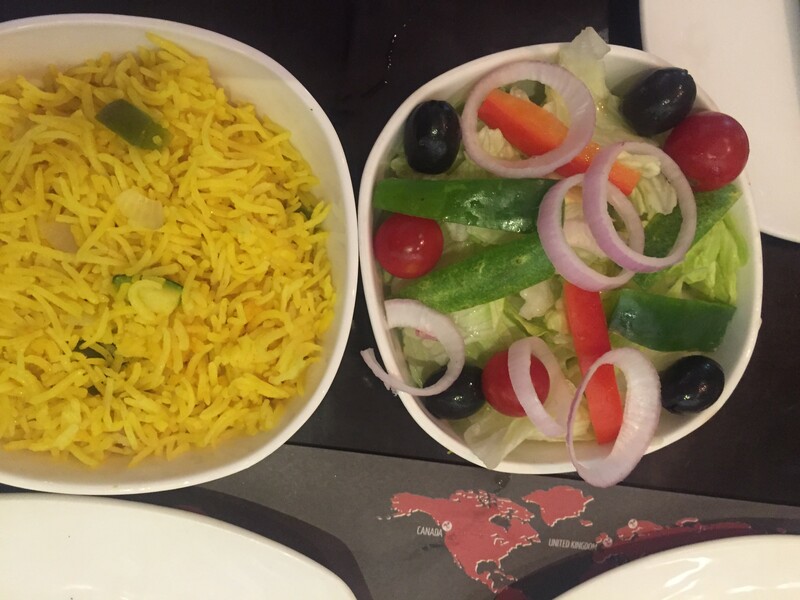 We ordered half chicken along with two sides – Spicy Rice and Green Salad. For drinks we ordered Hey Rosy and Tangy Mango. 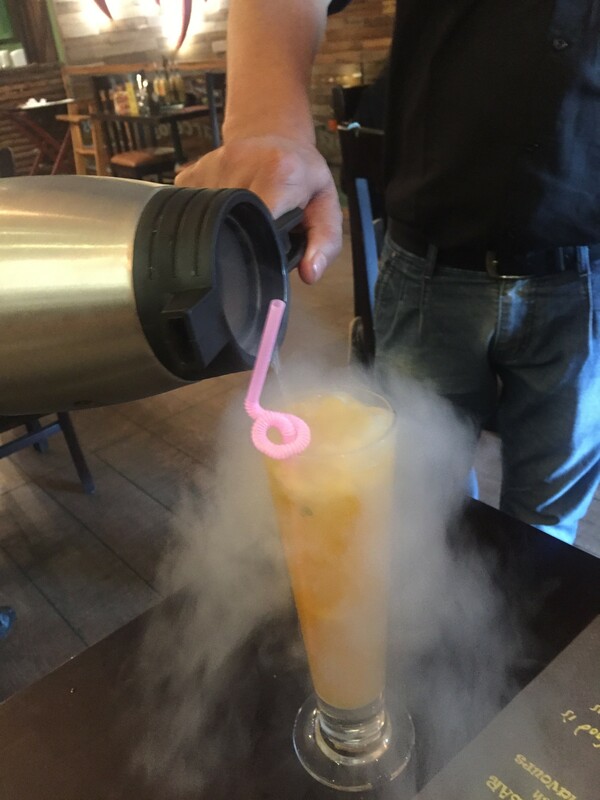 Both the drinks were great, refreshing and different from what I have had earlier. 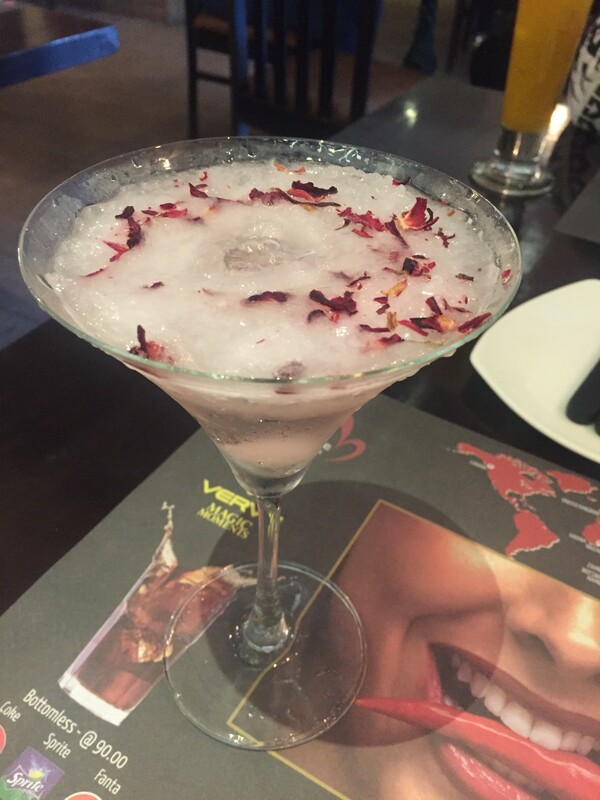 Though between the two, I would recommend Hey Rosy which had rose flavour, frozen ice and rose petals on top. 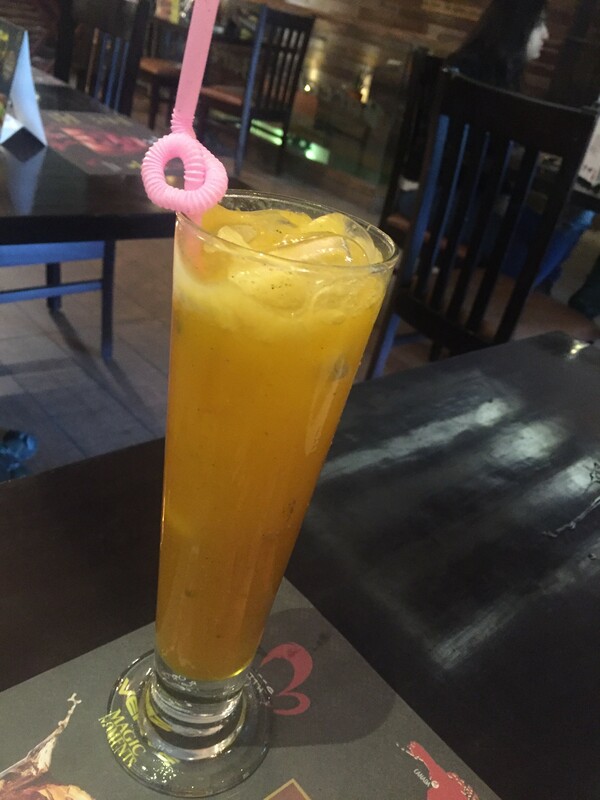 I particularly like the way Barcelos present their drinks. 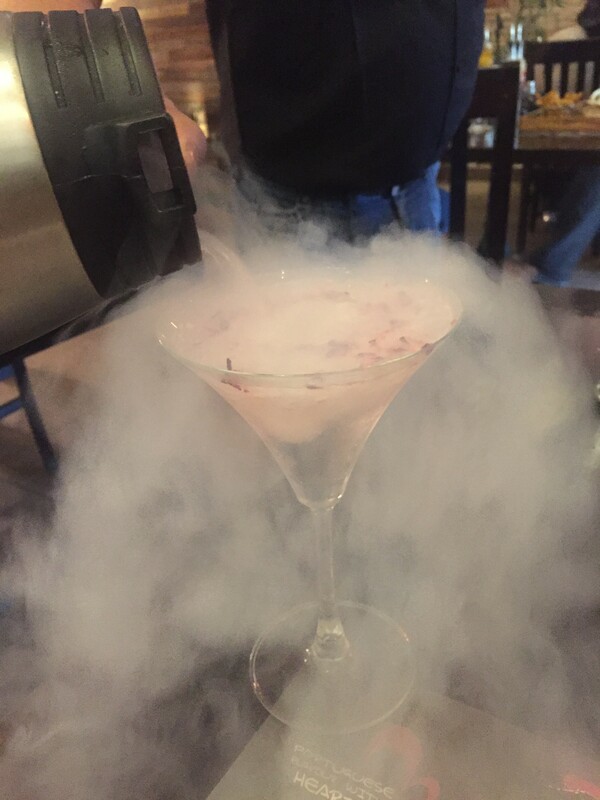 Liquid Nitrogen poured infront of us gave a magical smoke which was quite a sensation. It was FINALLY time for the flame grilled chicken as we saw it arriving on our table. The chicken looked great and was presented well in two parts. The non-vegetarian in me was jumping with joy seeing the generous proportions of chicken. The dish was fleshy and juicy. 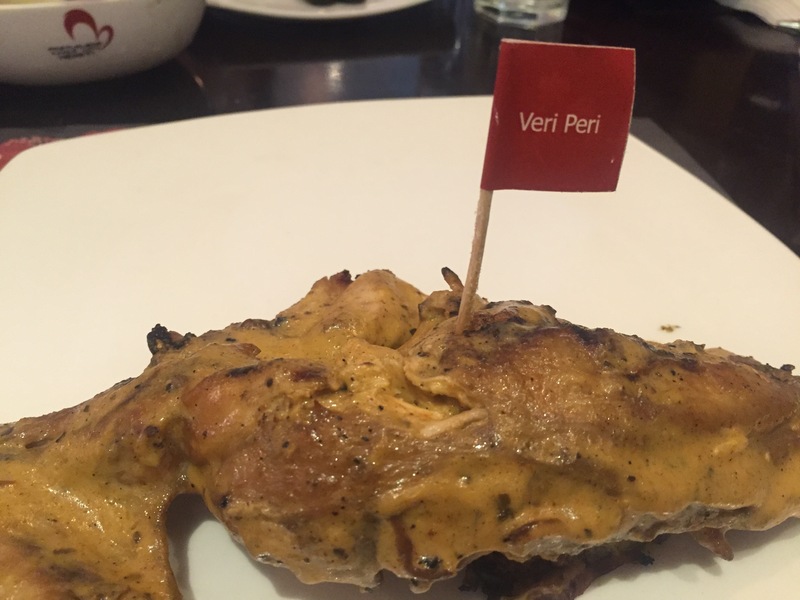 I had ordered the ‘very peri’ version (the other versions being mild peri and supa peri) and found it a little less spicy than what I had expected. However, with the extra sauces kept on the table, I made it ‘veri supa peri’!! The Spicy Rice were flavourful and were the right quantity. The green salad was fresh and colourful and was full of Lettuce, Cucumber, Onion, Cherry Tomato, Bell Pepper. I found it to be in its freshest best version. We also caught up with Rohit Malhotra, Head of Operations, Barcelos India to know more about core product and the reverse strategy. The reverse strategy being promoting its core products later and innovative products first but we do agree with what he said. They started promoting what was not in India – which were obviously their colourful and nutritious burgers and are now promoting other products. Rohit also told us a little history of the dish’s whereabouts. We were pleasantly surprised this was actually a Portugese recipe. If you ever got a chance to go to Portugal, you will get to eat this kind of food everywhere. About 500-600 yrs ago, when portugese were coming to India, they found small chillies which were very hot and starting experimenting and using it in their food. Actually, it is very close to the Indian palette. Rohit has some really aggressive expansion plans for the new restaurant. With two new outlets opening up at Hauz Khas Village and Sector 29 Gurgaon, the brand is totally going places. This year, the brand is all set to expand to other places in India-Jaipur, Mumbai, Kolkata and will be opening 6-7 more outlets. Even the menu will expand specially for vegetarians. Though Rohit wasn’t ready to reveal details yet but I am sure it will be quite innovative as the rest of the products. We do wish Barcelos good luck for its aggressive plans and you can trust Team ChicLifeByte for getting you the latest updates. Though, I am a vegetarian, I am sure the pictures atleast would excite a lot of gluttons to head for the store.Great post, Shilpa.